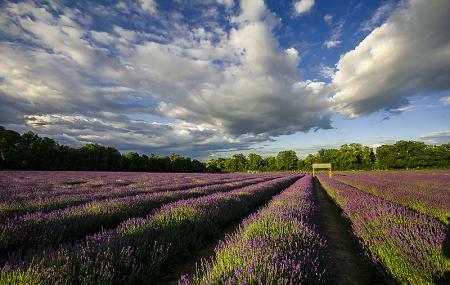 Mayfield Lavender Farm is a 25-acre farm covered with fragrant lavender. This lavender field is the most stunning view, and you will instantly fall in love with it. This organically grown farm is run by a family who have an experience of almost 15 years. The perfume of the lovely lavender hanging in the air is intoxicating. The farm is a must visit to all, especially considering the activities it offers for the entire family. You can take a tractor ride in the farm, have an afternoon tea, go beetle hunting or watch the bees work or you can even book your own private party. Needless to say, it is heaven for budding and professional photographers. You can also pay a visit to their nursery and gift shop and indulge in some treats. To personalise your visit to the city, you can use an all-inclusive Banstead trip planner for the same that will give detailed information about visiting the city. Add comfortable hotels to your plan, choose from the recommended hotels in Banstead like Grand Sapphire Hotel & Banqueting, Warwick Lodge, Holiday Inn Express London-wimbledon-south and Black Lion. Curated Banstead vacation packages await! Book the best ones and start turning your dream into reality.Discover various ways for how to reach Banstead and complete the booking by choosing your mode of transport. Love this? Explore the entire list of places to visit in Banstead before you plan your trip. Fancy a good night's sleep after a tiring day? Check out where to stay in Banstead and book an accommodation of your choice. It was located in Banstead in Surrey, England. Its totally Lavender farm covers around 25 acres. Its a popular place lot of people visit, there is free parking place. There cafe and shops are available. Good for photography. Lavender normally starts to bloom towards the middle to end of June and the peak time is July and August. Recommended. This place is easy to find. It’s nice for pictorials and it’s easy to book with them. There is a cafe that serves great lavender-themed food. They also have a souvenir shop! I recommend you visit before midday. Looking forward to visit this place again this year. Do you like fields? Do you like Lavender? Do you like an oddly located phone box which appears to be serving no actual purpose? Yes? Well this is the place for you! (In the right season) This place is an instagramers dream! Let your dull friends see your arty pictures and hope it can convince them that your life is not a void and meaningless descent into depression and death. How can you be depressed with all this Lavender?! Aren't you having a brilliant time? We've paid to get in here, we can't leave after five minutes! Look, there is more lavender over there! Your right, it does remind me of Granny's bathroom. I know I said it would be fun but you've put me in a bad mood and I'm about to overdose on Lavender.... 5 Stars! A fantastic day out! The view is magnificent. There are on site parking and toilets, easy for family with children to drive there and visit the farm. There is a cafe on site, food and beverages fused with Lavender flavour. Queue for food could be a bit long and would be much better if there are more seats available. Having said that, we would definitely visit the farm again. A beautiful place to visit (at the right time for the lavender of course). Really reasonable price entrance. I recommend the tractor ride as you will see the farm from every angle. There is a food area & gift shop. Really lovely day out.